A Million Ads announced today (5 April) the launch of Studio:Podcast, a targeted release of their world-leading dynamic audio personalisation tool, built specially for podcast advertisers. Studio:Podcast enables brands and advertisers to create dynamic and personalised digital audio adverts that are delivered to users while they listen to their favourite podcasts. Podcasting is rapidly gaining traction with listeners; and therefore getting more attention from advertisers. 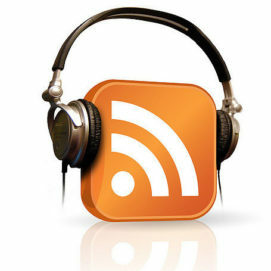 The environment for advertising in podcasts, however, is different to other forms of entertainment – it is more intimate and personal, and often consumed with headphones – so the majority of today’s podcast ads are delivered via host-read sponsorships, which take advantage of the unique relationship between the listener and host. The latest offering from A Million Ads, Studio:Podcast, combines the scale of broadcast adverts with the intimacy and effectiveness of host-read sponsorships by contextualising the creative with the name, genre, or category of the podcast, the type of device the listener is using, their location, and how many times they have heard the message. This brings scale and efficiency to the creative process, and results in better performing, more effective campaigns. Over the past few months, Acast, the world’s largest podcast company, has been pioneering the use of Studio:Podcast as the first pilot partner, running campaigns for iD:Mobile and NatWest in the UK. Acast has over 100 million listeners now tuning into podcasts each month; and recent research revealed that podcast listeners are consuming more than 3.5 hours of shows a week, which opens up a vast opportunity for brands to monetise through this route to market. IAB UK, the trade association for the digital advertising industry, announced on Wednesday (3 April) a series of updates to the criteria that must be achieved to receive IAB UK Gold Standard certification. New thresholds have also been introduced for support of both ads.txt and the Coalition for Better Ads principles and the ‘Better Ads Standards’. It is now a requirement for both buy-side and sell-side platforms to ensure 90% of the traffic they deliver includes a valid ads.txt file. In addition, there is a new criterion to demonstrate a minimum of 99% of the domains platforms work with conform to the Coalition for Better Ads standards. Demonstration of how noncompliant inventory is filtered will need to be provided as part of the Gold Standard Certification audit. The IAB UK Gold Standard aims to drive up standards in the digital advertising industry by encouraging companies to commit to best practices that reduce ad fraud, increase brand safety, and improve digital advertising experiences for users. Compliance criteria are tailored to each part of the value chain and companies that are successfully certified commit to upholding these best-practice guidelines. Companies that have already achieved current IAB UK Gold Standard certification will be supported through their transition to the new standards. DoubleVerify (‘DV’), a leading independent provider of marketing measurement software and analytics, announced on Wednesday (3 April) the launch of its expanded mobile app brand-safety solution, augmenting quality coverage within this high-priority channel. DV’s expanded mobile app brand-safety solution provides the most comprehensive protection available to advertisers today – with over 75 content-avoidance categories that address both brand-safety concerns and brand relevance. DV’s solution also provides extensive language capabilities and customisation options to address brand-specific requirements. Users can now target, monitor, and block apps based on app store category – in addition to other app-specific criteria, such as target age rating and star review. DoubleVerify’s brand safety controls for mobile app inventory can be implemented through DV Authentic Brand Safety targeting. Authentic Brand Safety targeting maximises programmatic buying effectiveness by ensuring that a consistent set of brand-safety criteria is applied across channels, before media is purchased. This alignment results in a hyper-efficient circuit that lets advertisers optimise for DV Authentic Impressions®, reducing post-bid reconciliation and make-good processes, and boosting performance. To be counted as ‘Authentic’ by DV, an impression must be fully viewed, by a human, in a brand-safe environment. Act-On Software, a leading Adaptive Marketing provider that drives personalised and purposeful multichannel marketing, has announced its new Marketing as a Service solution that uniquely solves today’s biggest marketing challenges by bridging the gap between technology and strategy execution. Too often, marketers purchase technology with the promise that all of their problems will be solved, only to then see this valuable asset under-utilised or, even worse, transformed into ‘shelfware’ — Act-On is ending this practice. Act-On Accelerate, the industry’s most cost-effective bundled offering, delivers the fastest time-to-value in the market. It was born of listening to and working with thousands of customers over the years – resulting in a comprehensive solution designed by marketers for marketers. It combines Act-On’s industry-leading marketing automation platform with critical implementation services (such as in-depth training on the platform, key integrations, and email deliverability) and premier customer support, along with customised ‘Accelerators’. Accelerators combine strategic and tactical guidance for specific marketing use cases with Act-On’s best-of-breed technology. Use cases include Gated-Content Conversions (Inbound), Funnel Stage Nurturing (Outbound), Sales Productivity (Sales), Customer Upsell/Cross-Sell (Loyalty), and many others. Many marketers are unable to obtain ROI from their marketing automation as quickly as they had expected, due to a lack of in-house expertise and resources needed to turn plans into action. In fact, a recent marketing automation analyst report found that 72% of companies plan to invest in new lead management software in the next one-to-three years, with half looking to replace their current existing system due to lack of results. With Act-On Accelerate, customers are seeing fast time-to-value and are realising the powerful capabilities of a robust solution.